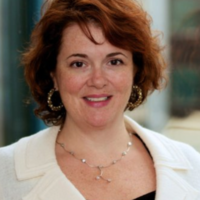 Kelly is the founder of TalentStrategy.org and is a seasoned expert in strategic affairs and gender equity. Kelly consults with executives and boards on diversity and equity strategies. Her clients include research and government institutions, corporations and global initiatives. Kelly develops targeted programs to improve gender equity and engage and retain diverse talent pools for a variety of industrial sectors. She specializes in organizational diversity frameworks, training, assessment, and business development for external and internal relations for complex evidence-based, multi-stakeholder STEM organizations. A regular conference presenter, Kelly has chaired diversity and workforce development streams for several technical and scientific conferences. Previously, she worked with the Networks of Centres of Excellence and Compute Canada where she led the strategy to secure commitments for more than $100 million in government funding.